Now lets Understand what it means to have a septic tank. A Septic tank is a special waste management structure constructed to help collect effluent. It collects these effluents and stores wastewater and solid waste. A Septic tank is usually made with Sandcrete bricks or sometimes with concrete depending on water the water table of the area is like. Concrete Septic tanks are usually common in the riverine areas of Nigeria especially areas where the water table is so close to the surface. Sandcrete Septic Tanks are common in areas where the water table is located at a considerable depth. This is common in the uplands, Northern part Of Nigeria, Eastern Nigeria and other parts with less water bodies. For a septic tank, there always exists a pH Balance as well as a bacterial activity which breaks down solid wastes. The septic is always built separate from the soak away system. The thing is that the septic tank collects all forms of wastes from the home. These includes liquid wastes from the kitchen, bathroom. 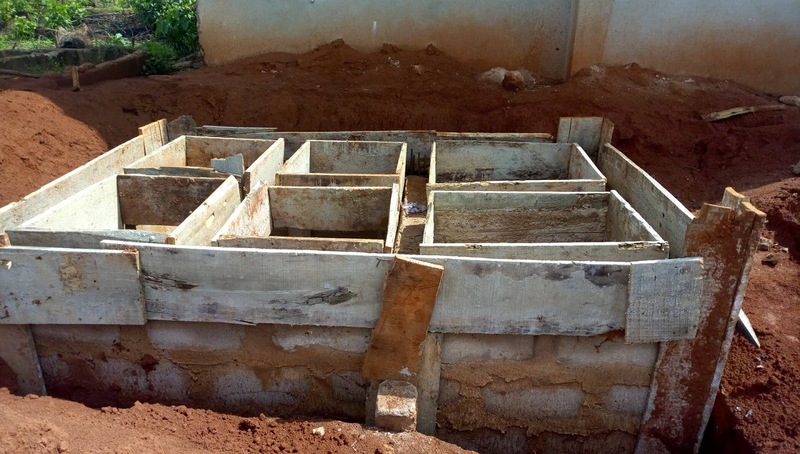 When these gets into the septic tank, they gradually settle into different layers within the septic tank. Now lets consider the layers these wastes divide into the very moment they get into a septic tank but to do this, we must bring in the cross section of a septic tank as it would help us have a better understanding of what is talked about here. Scum Layer: Now can you see the scum layer? The scum layer is where anything that couldn’t settle below the water finds itself. They gradually float ontop of the main liquid. The scum layer is the very first layer you'll see if ever you open the septic tank for maintenance of to empty its content. Sludge Layer: The sludge layer is where all heavy materials settle. These materials are heavier than water and thus the bottom of the tank is their resting place. Hope you can see the sludge layer at the very bottom? On complete removal of all liquid from the septic tank, the sludge is what would be left. The sludge is usually thick in nature. Water: Water is usually found after the scum layer. This is the middle layer in the septic tank. The water found here is usually fowl and contain a lot of bacteria as well as chemicals such as phosphorus and nitrogen. The chemical content of the water contained in a septic tank is often the main reason why the water is usually used as fertilizer. Now you have learnt a few about the septic tank, what if you share this with others to also widen their scope about septic tanks?